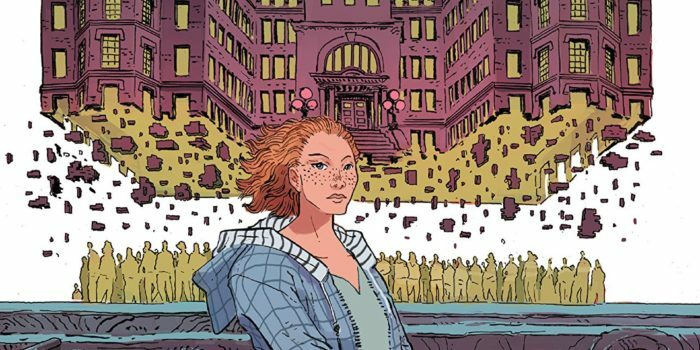 The Unsound, BOOM!’s recent miniseries from horror stalwart Cullen Bunn and gifted newcomer Jack T Cole, wears its influences on its sleeve while confidently building to something unique and indefinably eerie. A razor blade on the desk of an empty reception is the first sign that things aren’t quite right at Saint Cascia psychiatric hospital. Ashli Granger’s first day on the job gets stranger still when she meets Xerxes, a mysterious patient whose face is forever hidden behind a mask constructed from a paper plate, and three sinister administrative entities with whom she is warned never to make eye contact. 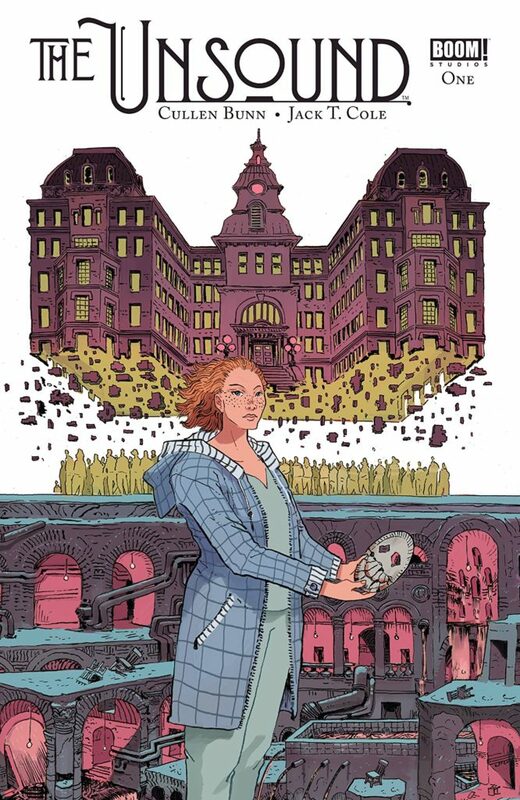 But when the patients turn homicidal and reality begins to shift around them, Ashli’s past and Xerxes’s cryptic guidance may be the only thing keeping the hospital’s surviving staff alive. Cullen Bunn has demonstrated a considerable knack for the uncanny with such fine titles as Harrow County, and from the very first page of The Unsound his story seeps a sense of serene underlying insanity. Ashli makes her journey to work, we see a New York inhabited entirely by the neurotic, obsessive and unbalanced; where everybody is deranged in their own private or public way. Jack T Cole’s prickly, nightmarish art is spellbinding here. Sure, the asylum’s physical transformation into hell-of-sorts owes more than a little to Jacob’s Ladder and Silent Hill (think incomplete mannequins and rusted metal), but Bunn and Cole pile on layers of unreality at a escalating pace until the book finds its own identity in florescent skies and architecturally impossible dreamscapes. 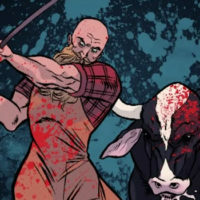 The Unsound does, however, commit a personal genre crime (to be fair one the majority of horror comics are guilty of): it hits the pedal far too early. Most reputable horror movies or novels take their time, bar the obligatory prologue or tease, to instill a sense of reality and stability into the viewer/reader before pulling the rug from under them. 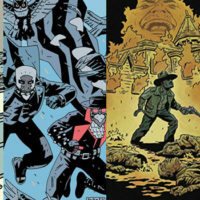 Comics, conversely, all too often reach that stage within several pages. Page 13, in the case of The Unsound. As a result, I never found myself fully invested in Ashli or the other staff and residents at Saint Cascia; as soon as we are introduced to them they are reduced to targets for Bunn and Cole to take aim at and fire. 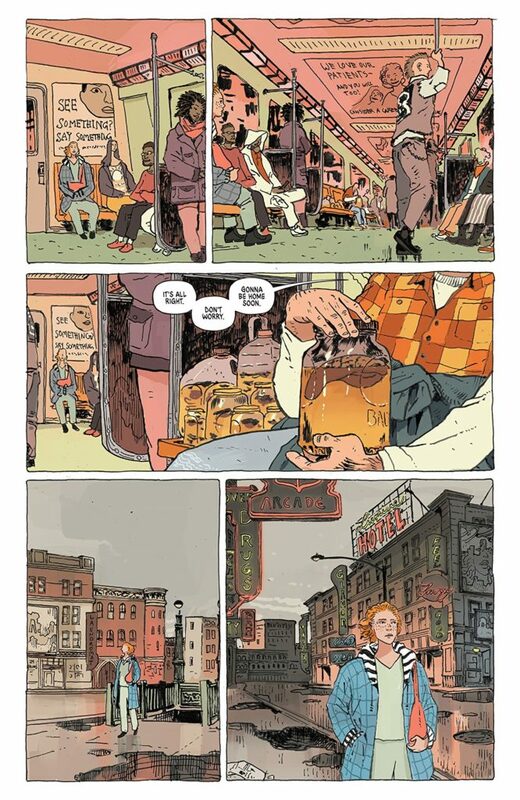 That criticism aside, The Unsound is often genuinely unsettling in a way that few comics manage, mostly due to its increasingly batshit locations and some horribly imaginative murders. One particular scene, which sees a poor fellow turned into a piñata, is far more horrifying than it has any right to be, mainly because the storytellers refuse to question the ludicrousness of it all. The final act, for which I presume Robert W. Chamber’s The Yellow King played a heavy influence, is mad and maddening, building towards a unique take on cosmic horror that begs to be further explored, but it’s perhaps The Unsound’s understated and sober conclusion that proves most spine-tingling.